The following piece is an extended version of a blog from our Chair, Noel Baxter, written at the request of NHS England for their website, seeking the views of PCRS on the respiratory elements of the NHS Long Term Plan for England (LTP). The inclusion of respiratory disease as a priority disease area in the NHS Long Term Plan is very welcome news. This recognition is long overdue. Lung disease is the UK’s third biggest killer. But unlike other major disease areas mortality rates haven’t decreased in over a decade. One in five people in the UK lives with asthma, COPD or other respiratory disease – nearly 13 million people - and respiratory conditions are a major part of the gap in life expectancy between the poorest and the wealthiest. The respiratory content of the plan echoes many issues which are priority areas for PCRS: proposals to improve diagnosis; provide better training for those who have been tasked to deliver evidence based respiratory care; better uptake and availability of pulmonary rehabilitation and to provide more appropriately resourced respiratory care in the place people want it when it no longer needs to happen inside hospital. These are also areas identified in the plan recently published by the , a collaboration of 29 organisations, including PCRS, which are working together to improve lung health. We are pleased to see that Primary Care Networks will be a keystone in integrating services outside hospitals and we will be keen to support the distinct role of general practice within these organisations and campaign for appropriate resource and education to sit alongside that. We welcome the drive for supported self care, including education and the commitment to provision of better physical activity opportunities right from the point of diagnosis. Avoiding waste and achieving value through responsible prescribing of medication is as much about patient choice and involvement as clinician education. Integration where evidence supports its use, such as joint cardiac and pulmonary rehabilitation for breathlessness, is a welcome step forward and the plan now suggests extension of integration is high value and will help to reduce the more than 700,000 hospital admissions and over 6 million in-patient bed days in the UK each year of people with respiratory conditions. PCRS has supported and helped to develop the integrated approach to respiratory care and is evidenced by our broad range of health professional membership. We have recently highlighted the multidisciplinary respiratory virtual clinic model that has become well established in England where CCGs and Acute Trusts have had the foresight to see their value. With coordinated working between specialists and generalists in structures that have been the forerunners of primary care networks we have seen improved outcomes for these populations as distinct to neighbouring and equivalent areas. The plan promises to target investment in improved treatment and support for people with respiratory disease with an ambition to improve outcomes that equal or better our international counterparts. This is a worthy ambition. However it will only be realised if more resources are invested in training. There has been chronic under-resourcing of training and continuing medical education of healthcare professionals providing respiratory care, not just doctors but nurses, pharmacists and physiotherapists. In particular, resources are needed to ensure that all healthcare professionals who perform and interpret respiratory diagnostic tests such as spirometry – either in general practice or as part of the new primary care network – must be trained and certified in order to achieve the plan’s stated aim of improving early and accurate diagnosis of lung disease. The Plan looks to the future with a mention of smart inhalers, a technology that could help patients to improve their inhaler use and ultimately deliver better control of the condition they live with. We welcome the widespread adoption of any evidence-based approaches to respiratory diagnosis and management, including non-pharmacological and digital interventions. We could not support a shift in resource from underused but high value treatments such as vaccination, tobacco dependence treatment and pulmonary rehabilitation to ‘the new and shiny’ unless it genuinely helps address low uptake of these effective treatments or where robust evidence shows equivalence to deliver what people living with respiratory disease want. So, in particular we are pleased to see recommendations that will highlight to healthcare professionals the currently neglected but vital role they have in treating tobacco dependency regardless of whether this is part of a respiratory or other condition pathway. The Long Term Plan is to be commended for highlighting the need to treat inpatients, those with mental health conditions and pregnant women who smoke. However, as set out in the Ottawa model, quoted in the document, I would like to stress that it is an absolutely essential element to the model that patients identified and treated for tobacco dependency in hospital have their care universally and effectively transferred to the out of hospital services. The Plan would suggest that this care will now be provided within our Primary Care Networks. So we would call for acute trusts taking on the Ottawa model to consider carefully how they will work with the new structures to support their ultimate aim of reducing admissions and helping people to be supported at home. 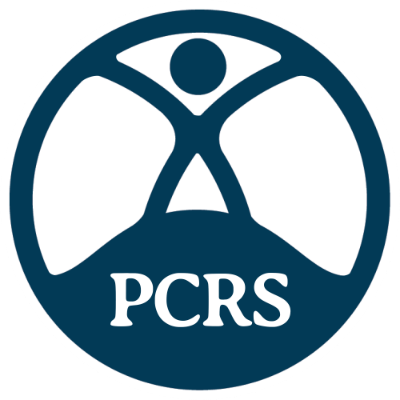 Tobacco dependency is a chronic relapsing condition and PCRS argues it is the job of all healthcare professionals to diagnose and manage it. This is why we recently published a pragmatic guide to diagnosing and managing tobacco dependency. This resource is designed to be used by all healthcare professionals who should be trained to support not only this programme begun for smokers admitted to hospital but also those smokers and their families who we see regularly in general practice. We welcome the explicit recognition of the need for healthcare organisations and professionals to treat tobacco dependency as a long term condition but this must be in synergy with our hard pressed local authorities who also have a key role to play in attending to this problem. We hear from our members about budget cuts which limit the offer they can provide so we look forward to the Social Care Green Paper, anticipated later this year, to see how health and local authority will be enabled to work better together to achieve the ambitious Smokefree targets we have set ourselves as a nation. A final point I would like to make as the recent primary care lead for the HQIP/RCP National asthma and COPD audit in Wales, is that in order to achieve the Long Term Plan’s ambition of improving respiratory care, services and clinical outcomes, we need more data. The Wales data has started an innovative programme of improvement in general practice and hospitals but in England we still don’t have a national audit. PCRS will continue to work with HQIP/RCP and NHS England on a plan to implement this much needed work. In the coming months PCRS, as a diverse health professional membership organisation, looks forward to working with NHSE colleagues in fleshing out the concepts and disseminating implementation plans that have now been set out in the Plan at both a national and local level.